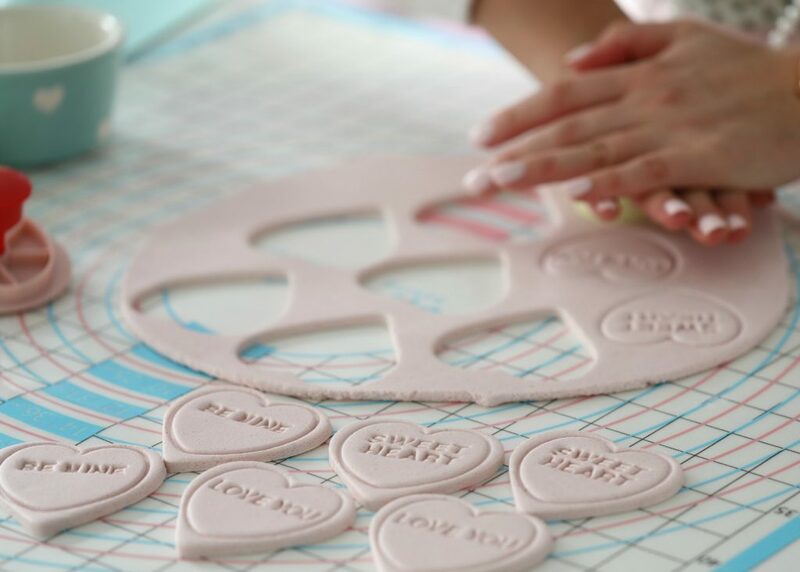 It is almost Valentine’s day, how about making Love conversation hearts for Valentine’s day. Not the regular one like in the store, but better if you ask me. These Love conversation hearts are made from homemade marzipan. The marzipan is made with sugar syrup instead of egg whites. 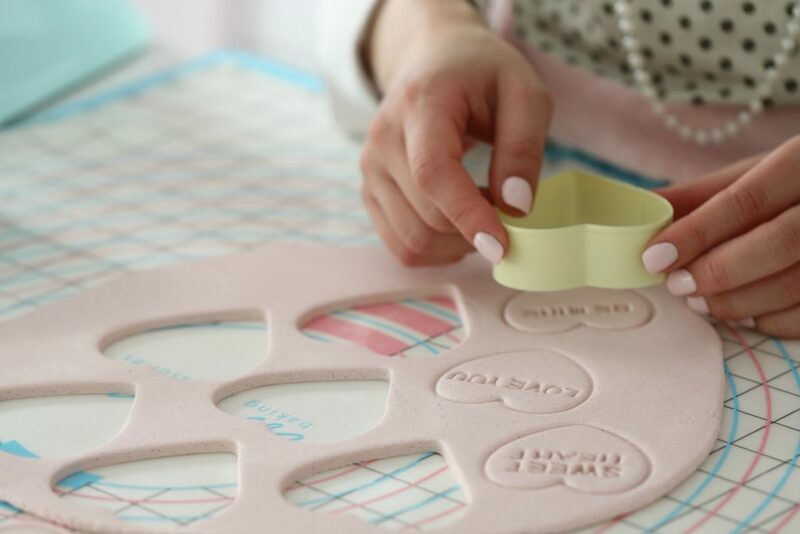 It is easy to make and delicious, on cakes or to make these cute Love conversation hearts for Valentine’s day. 100 gram glucose or light corn syrup. Place the ground almonds, white food color, and seeds from 1/2 vanilla bean into a food processor. Place the lid on, and set aside for now. In a small saucepot add sugar, water, and glucose/ light corn syrup. Turn on the food processor while it’s running. Slowly pour in the sugar syrup. Blend until the marzipan comes together, or stop and add food color and continue blend until the marzipan comes together. At this stage, the marzipan is pretty stiff. Dust the table with some icing sugar. Leave at room temperature to cool for 2 hours before use. No need to store the marzipan in the refrigerator, just make sure it is well-wrapped until you are ready to use it. Keeps well for one month. This recipe gives you, 450-gram ready-to-use marzipan. Press the marzipan onto a flat disc, dust the top with icing sugar. Use a large rolling pin and roll out the marzipan until it is 1/4-1/2 inch, in thickness. 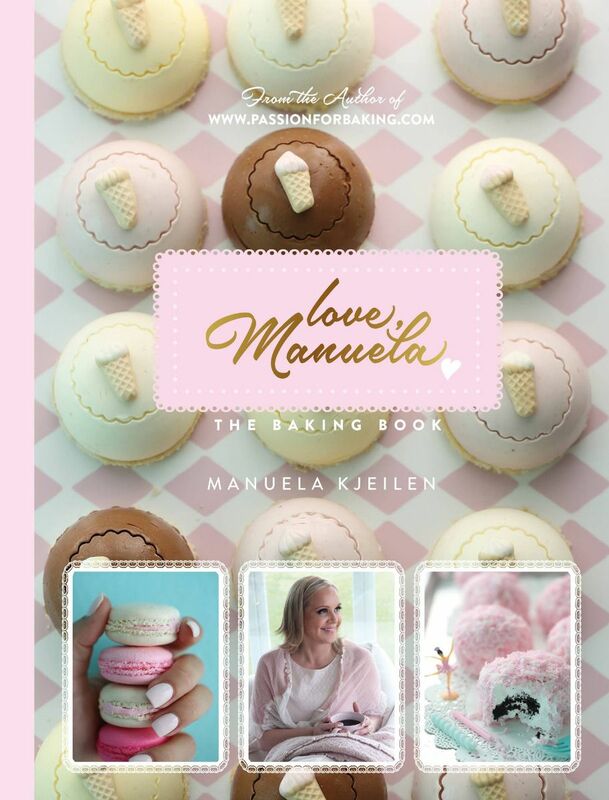 Take your romantic imprint or stamp and press firmly onto the marzipan. Leave to dry until the next day in room-temp as these will become more firm. Make the Love conversation hearts in different pastel colors; it is a great gift to give on valentines day. Check back soon for more recipes. I love these. Just in time for Valentines Day. I would love to know where the cookie cutter and imprint stamp is from. Thank you so much. Can I use almond flour in place of the ground almonds?